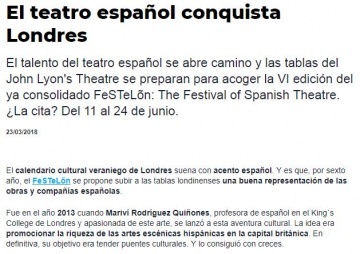 Experience exceptional Spanish culture in London as FeSTeLón brings four top-ranking performances to the John Lyon’s Theatre City Lit 11th-24th June 2018 – with English Surtitles. 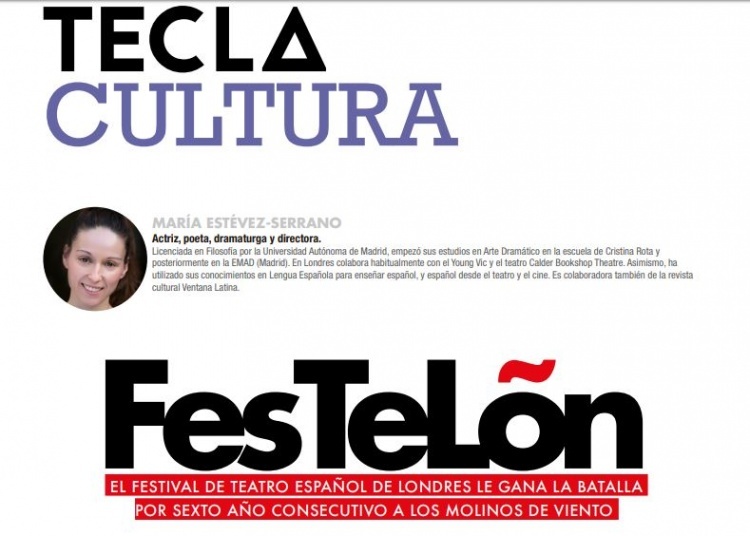 FeSTeLón: Festival Spanish Theatre of London is returning to London next month for its fifth edition. 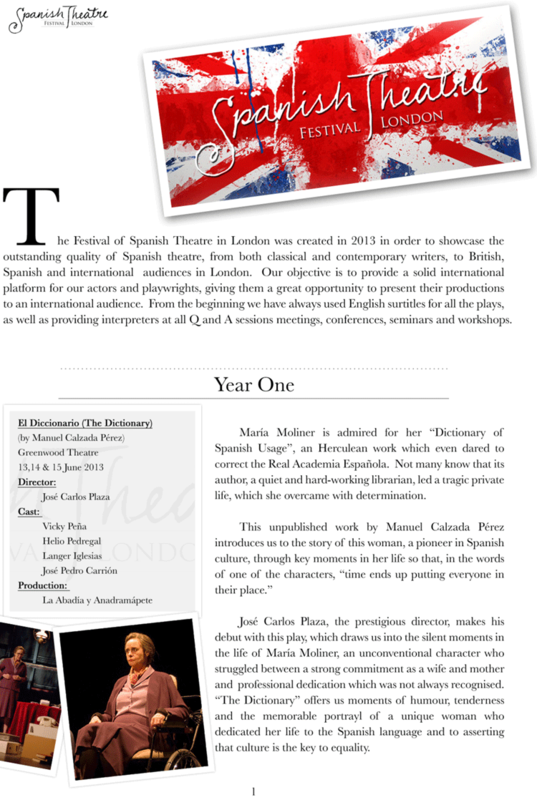 Since its launch in 2013, the festival has grown year on year and become an annual fixture in London’s summer cultural calendar. 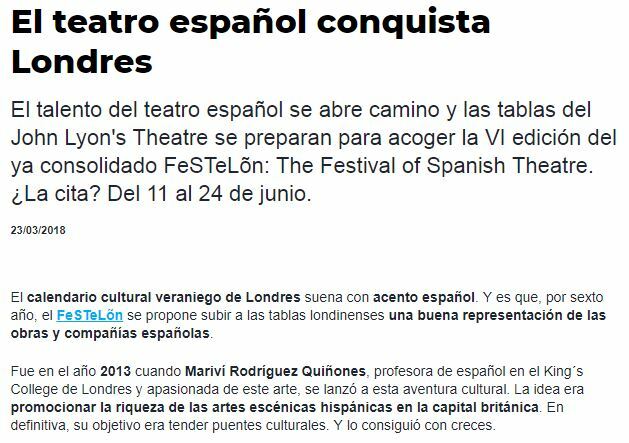 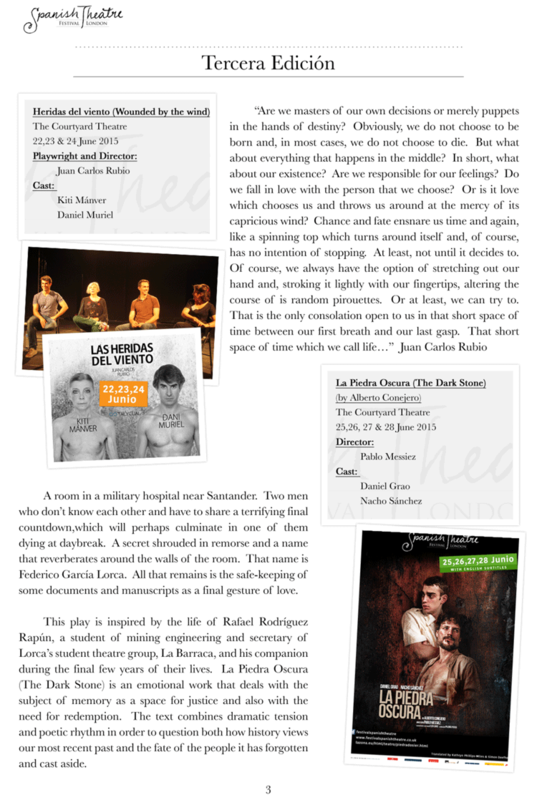 Festelon: The Spanish Theatre Festival London was founded in 2013 by Mariví Rodríguez Quiñones, Director and Founder. 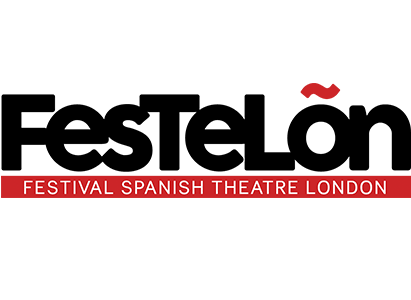 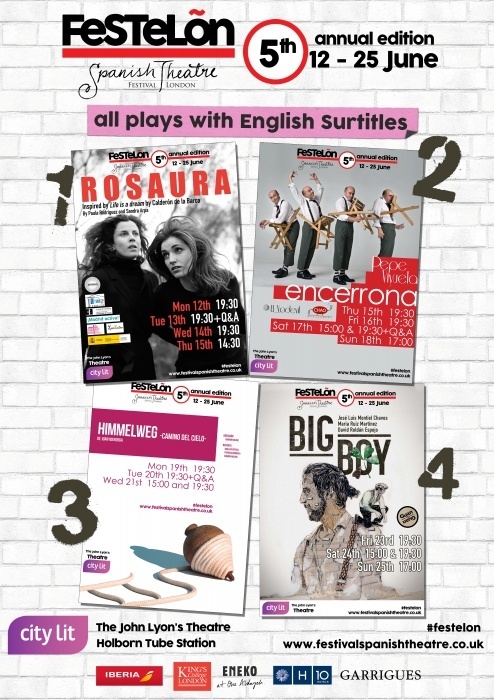 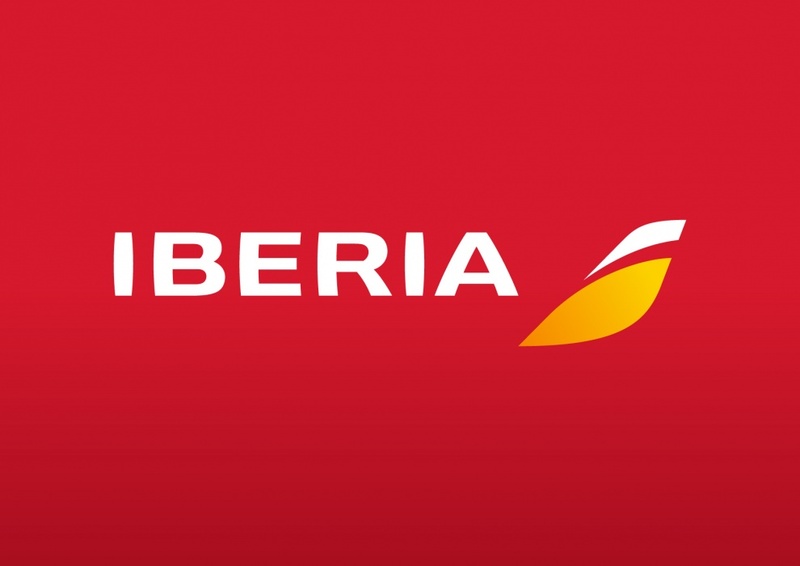 The festival showcases outstanding Spanish theatre, providing a unique opportunity for English-speaking audiences to see professional, critically acclaimed work by top-ranking Spanish companies that would otherwise not be seen in the UK. 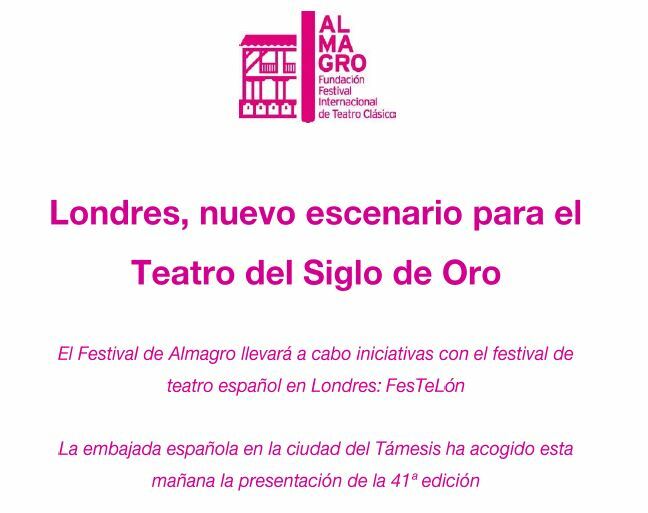 Performances are in Spanish, surtitled in English and supported by workshops and talks by academics and practitioners, and an engagement project for young people. 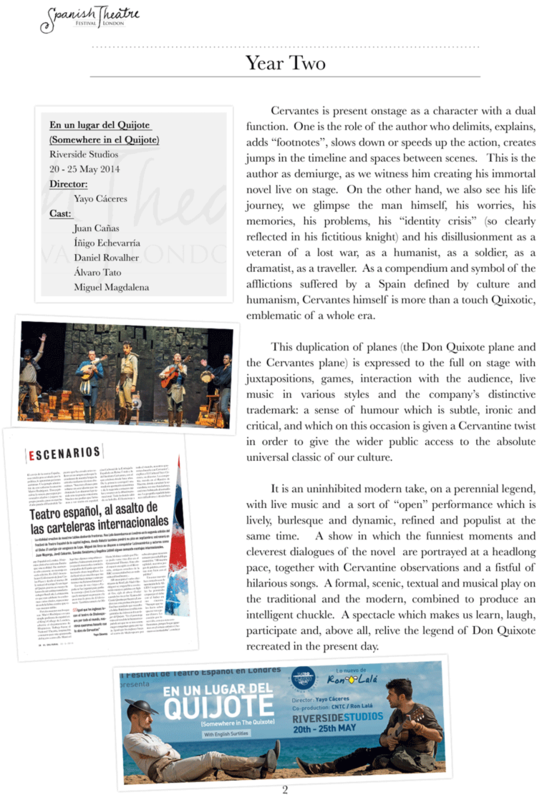 “Don Quixote”, “Arizona” and “Los espejos de Don Quijote” (The Mirrors of Don Quixote).